Hi lovelies! 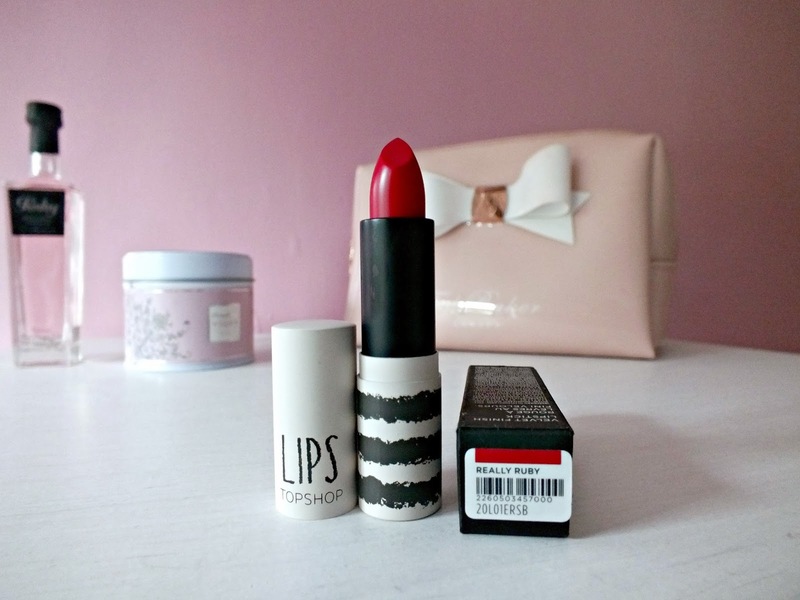 Today, I thought I'd do a little review of the gorgeous lipstick I hauled in my last post (the one below this one!). It's one of Topshop's newest additions to their gorgeous lipstick collection and one I could not leave on the shelf while browsing through Topshop's makeup counter. This lippie is a gorgeous bright, blue toned red with a super opaque and glossy finish on the lips. 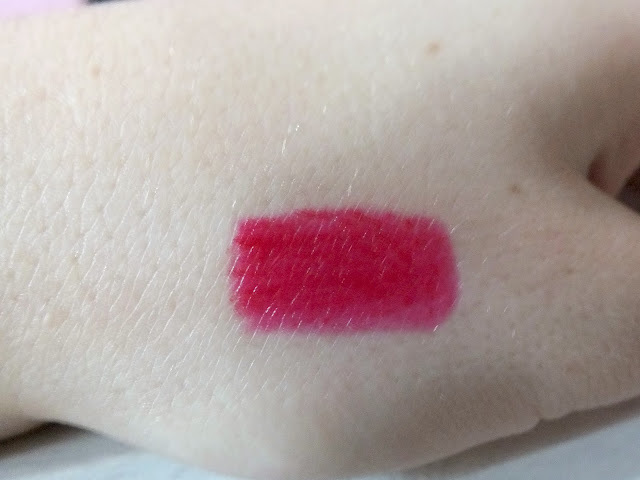 I love topshop lipsticks, but have founds few of the others I've tried to be a teeny tiny bit drying as many of them are fairly matte, which I do love, but what drew me to this one was how glossy it looked in the bullet. The formulation of this lipstick kind of reminds me of MAC cremesheen lipsticks as it's so opaque, smooth and feels super nourishing on the lips. It's very forgiving of dry patches of the lips, which is fab! Sorry for the lack of on the lip swatches, my photos were all blurred and by the time I looked there was no light left and I really wanted to get this post up today! I'll hopefully add a photo to this post soon! On the lips though, this looks super glossy and has a completely opaque coverage. As it's a blue toned red, it makes your teeth look really white (provided you don't get any on your teeth, which I am known to do every now and again). It's just a super pretty classic red. I would say this would be fab on pretty much any skin tone as I've tried it with and without fake tan and it's a lovely contrast on pale skin, but also looks really glam with a tan. I think this would look particularly gorgeous on a darker skint one as it's so bright and beautiful. This lasts for ages on the lips, after a little while the gloss dies down a bit and you're left with a pretty red stain to the lips which last for a good few hours. Overall, I'd totally recommend this to anyone, particularly this time of year with Christmas creeping up on us! What do you think? Would you like to try this shade? This is such a lovely color! I love blue reds! So glad to see a review of this, i've been umming and ahhing about it for some time, it looks pink on their website! I do like this shade though, they have some really nice reds right now! I'm such a fan of red lipsticks and this shade looks gorgeous! Now that Nordstrom stocks Topshop Beauty, I really ought to try out their range of lipsticks. I really need to get my mittens on one of these lipsticks. They seem amazing! Great review! Ooh I definitely need to buy this!